Antonio Ramirez transferred from Division I tennis last year. Members of the men’s tennis team are hoping that an epic rap battle will take place at the end of its season—one between senior co-captain Josh Freud and head coach Dan Munsey. As irrelevant as a random rap battle sounds, the context around it is what makes the showdown so epic. It will mean that the team has made the NEWMAC playoffs for the first time in its history, and is moving forward from the previous season. After an exceptional beginning and disastrous end to the 2015-2016 season, the men’s tennis team is looking to bounce back. The team won five straight matches at the start of last season, but fell apart after losing 9-0 to Springfield College, its first NEWMAC opponent, in April. The team then proceeded to lose all eight matches remaining in the season, and the last four were all 9-0 losses against conference teams. The only game played this season was an echo of last year’s defeat: a 9-0 loss non-conference to Southern New Hampshire University on Feb. 18. “We were getting so cocky because we were winning every single game,” Freud, a senior marketing communication major, said. Antonio Ramirez, a key player on the roster last season after he transferred to Emerson from Division I New Mexico State University, agreed. Munsey agreed that confidence last season was eventually the Lions’ downfall. Munsey said he anticipated the slide in gameplay last year, but not because of his own players. Rather, the schedule is made purposefully each year to get harder as the season goes on, and to face conference opponents in the end. The early game against SNHU was scheduled by Munsey exactly for that reason. SNHU is a championship Northeast-10 Division II team—a team with a skill level on par with those atop the NEWMAC, according to Munsey. So in order to beat the top of the NEWMAC, Munsey figured the Lions needed to play against that skill level. And they did not disappoint him. The team also played SNHU without Ramirez. Munsey believes that his team can match that skill. He says that the team possesses a better skillset than it did last year, and can build up its confidence and ideally sustain it for the entirety of the season. He also thinks depth will be a factor this year, saying that the roster is “a little bit deeper from top to bottom than we were last year.” Munsey feels that the roster this year has more skill than last year, so the Lions can have stronger players top to bottom in the lineup. The squad has improved with two new additions-- junior Andrew Cooper, who is “incredibly talented,” Munsey said, and sole freshman Brock Higley, a young player that possesses an abundance of talent, potential, and passion for the sport, according to his coach. 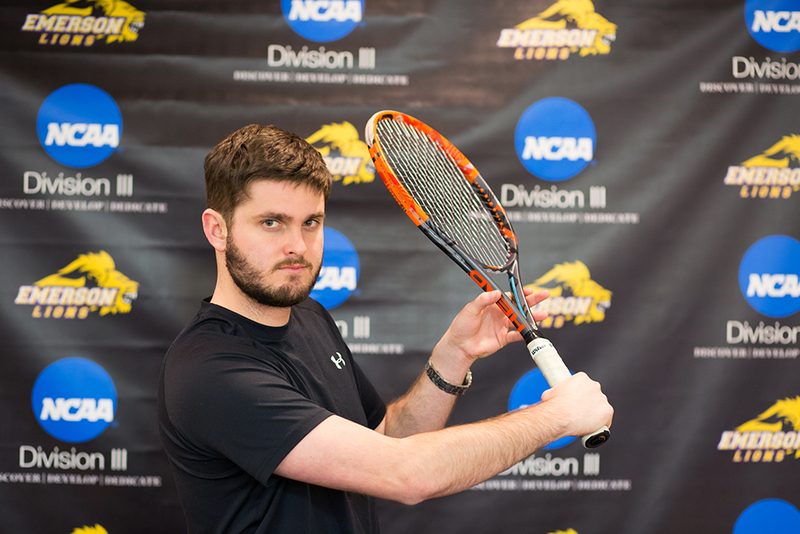 Munsey, who said he is excited about the direction that Lions are headed in as a sports program at Emerson, is eager to make the next step to a stronger program—and that means having a successful, competitive season. Munsey said the biggest factor this season will be the confidence, especially since it was the determining factor of last season. The Lions' next game will be away on Saturday, March 25, at University of Massachusetts Boston.